Looking for some live action events while you&apos;re in and around Austin? We have you covered with a selection of the top spring sports events to fit any budget that are perfect for the whole family! Banked Track TXRD. Credit Dave Idemoto, courtesy of Bullock Museum. Austin is the home of two of the most entertaining Roller Derby leagues in the nation. 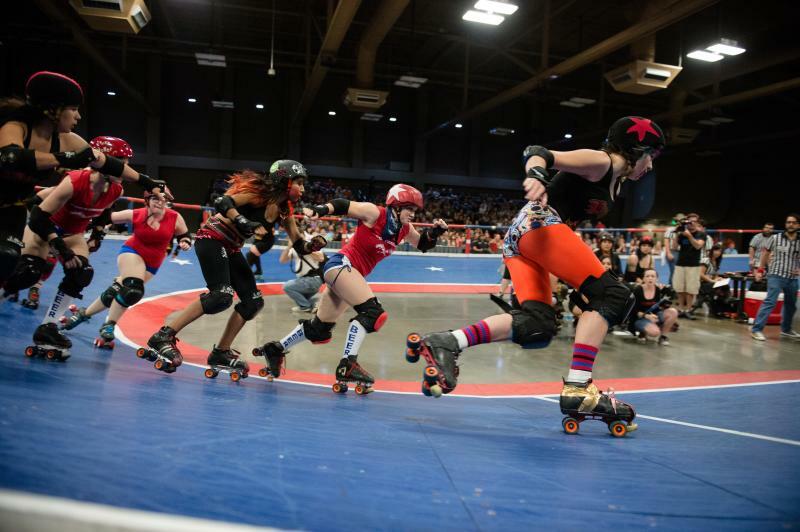 Austin&apos;s original banked track league, Texas Roller Derby is the perfect blend of the “Keep Austin Weird” attitude and a free ­wheeling pursuit of fun and competition. Skaters range from ages 21­-45 and come from all walks of life to form the league’s five teams. Austin’s professional rugby team brings its hard-hitting action to Dell Diamond this spring for six home games. Year two promises to be even more exciting for the team, with a larger stadium venue and ever-growing support from local fans. Individual and season tickets can be purchased here. The Texas Rollergirls was a game changer in the roller derby movement, launching the Flat Track Derby movement which now has more than 300 Flat Track Derby Leagues worldwide. The league is composed of four home teams supported by a loyal, enthusiastic fan base: Hell Marys, Hotrod Honeys, Honky Tonk Heartbreakers, and Hustlers. The ATX Showcase offers a look at elite local volleyball talent ages 12-16. This fun and competitive two-day tournament is a unique opportunity for young players to be seen and recruited early. 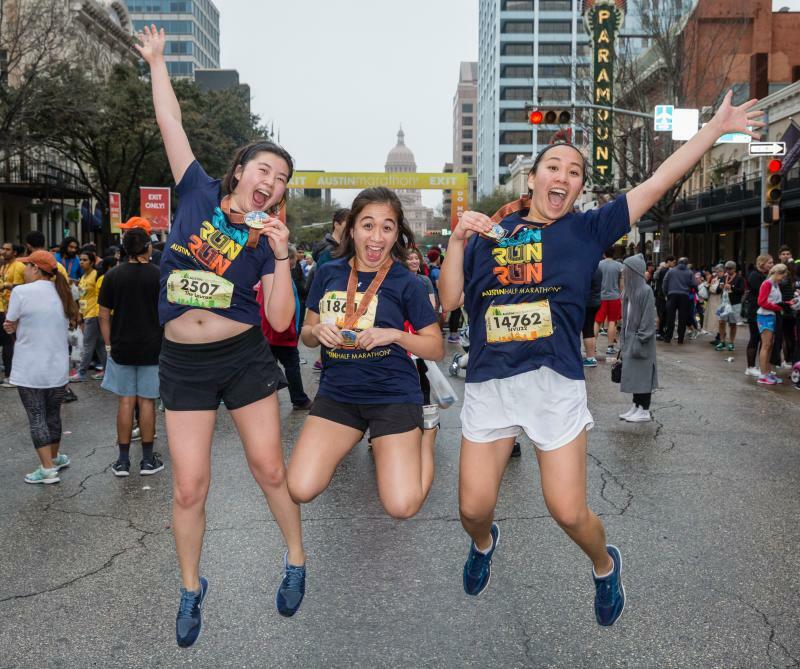 Nearly 20,000 runners from around the world will hit the streets of Austin this February for the 28th Annual Austin Marathon, Half Marathon and 5K. Race weekend kicks off with over 75,000 visitors at the Health & Fitness Expo, followed by the iconic race through scenic Austin, and concludes with a Finish Line Festival featuring live music, food vendors, and an expanded beer garden. Click here to register today! International rugby action is coming to the Dell Diamond for the first time in history this spring. The USA Men’s Eagles Rugby team looks to continue their winning streak when they take on Brazil in their home opener. The Eagles are looking for a coveted “three-peat” in the Americas Rugby Championship, coming off wins in the 2017 and 2018 tournaments. Tickets are available here. The Austin Rowing Club is hosting their annual Heart of Texas Regatta March 2-3. This US Rowing Nationally Recognized Regatta has grown over the years to include rowers from all over Texas, as well as some out of state visitors. Over the course of two days of racing, more than 1,500 competitors will take to Lady Bird Lake to compete in Masters, Open, and Junior events on a fully-buoyed 1,000 meter course. 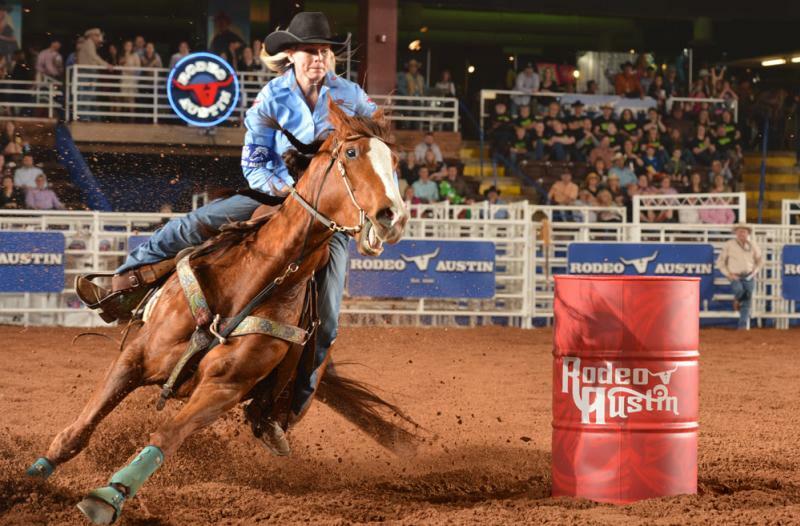 Over the years, Rodeo Austin has grown from a stock show featuring 16 animals into one of Austin’s premier events, featuring one of America’s top 10 ProRodeos, daily concerts, a family friendly fairground, world class livestock show and more. In addition, the Rodeo Austin Scholarship Program has impacted the lives of thousands of Texas youth, donating millions of dollars to their education. This year’s concerts feature a range of musical guests including Flo Rida, Josh Turner, Martina McBride, The Jacksons and many more! The University of Texas plays host to both the men’s and women’s championships this spring, marking the first time ever that the school has hosted both championships in the same year. Collegiate swimmers and divers from around the nation will compete for the ultimate prize. The Women’s event will take place March 20-23, while Men’s will be March 27-30. Ticket information can be found here. North America’s premier open-wheel racing championship makes its COTA debut at the INDYCAR Classic. This event offers the opportunity to see some of the greatest drivers in the world up close, as well as adding the essential Austin touch of live music. International rock superstars Muse will perform Saturday night, while local music will be featured throughout the weekend at the Lone Star Stage. Kids 12 and under receive free admission. WGC Dell Match Play. Courtesy of the PGA TOUR. 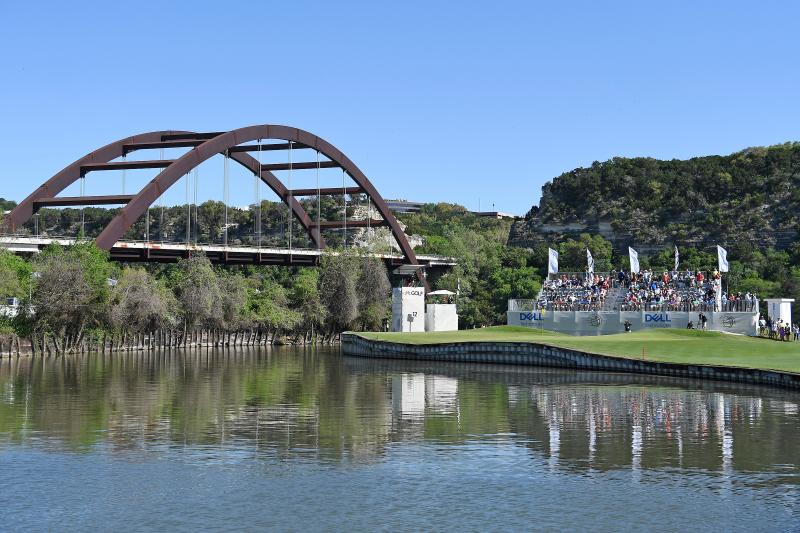 The World Golf Championships - Dell Technologies Match Play returns to the historic Austin Country Club in March, bringing the top 64 golfers in the world - including last year’s winner Bubba Watson and Texas native Jordan Spieth. The Championship Event will feature 16 groups of four players playing round-robin matches. Keep up to date on the Official World Golf Rankings here. The 92nd running of the Clyde Littlefield Texas Relays will take place March 27-30, featuring more than 7,500 high school, collegiate and professional athletes. 11 meet records were broken at last year’s event in front of a total attendance of over 45,000! A full schedule of events can be found here. 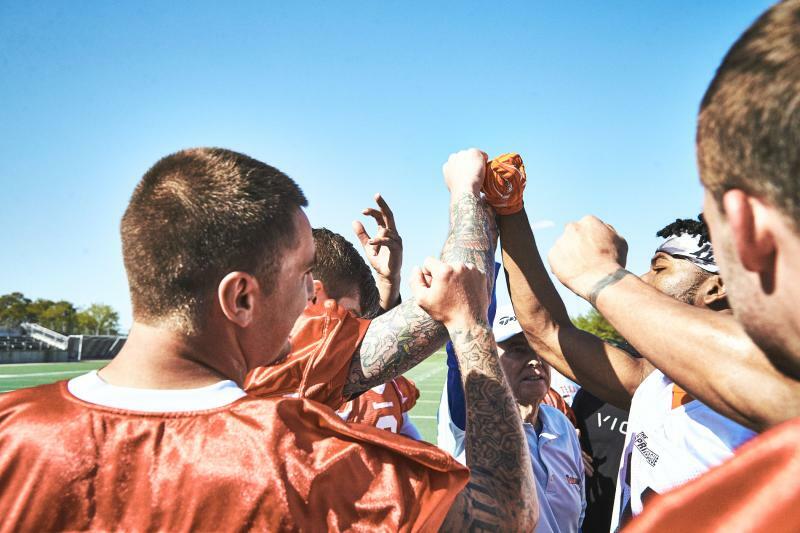 The Spring League is a developmental football league that gives an opportunity for players to showcase their abilities to professional scouts from the NFL, CFL and more. The league returns to Austin for the second year in a row on March 28 to begin its four-game season. 32.5% of players from last year’s event were either signed or invited to an NFL/CFL camp. Courtesy of The Spring League. Beginning in March, you can catch professional United Soccer League action in the heart of COTA&apos;s Grand Plaza when Austin Bold FC makes its highly anticipated debut in a brand new 5,000-seat stadium. ABFC&apos;s inaugural season begins on the road, but the first ever home match at Bold Stadium on March 30 is not to be missed. The largest 10K in Texas and sixth largest in the nation is back! Join more than 20,000 runners in this annual race around downtown Austin. This year’s race will feature four-time Olympic gold medal runner Sonya Richards-Ross serving as Race Ambassador. Returning this year, $1 of every registration will go directly to benefit the Health Alliance for Austin Musicians (HAAM). When participants make additional donations, the Statesman will match the total up $10,000. Austin’s long-standing motorcycle heritage, coupled with COTA’s cutting edge racing facility, ensures that audiences can expect a jam-packed weekend of world class two-wheeled excitement on-track alongside an incredible schedule of off-track entertainment. In addition to the Moto2 and Moto3 classes, MotoAmerica will bring its signature brand of star-spangled motorcycle racing to the track, filling out a stacked lineup of the world&apos;s greatest motorcycle riders. Tickets are on sale here. The Texas Rowing Championships is a USRowing registered regatta taking place over two days at beautiful Lady Bird Lake. High school rowers from throughout Texas will meet in Austin to compete in Junior events- an important stepping stone for qualified athletes to eventually compete in the USRowing Youth National Championships. Master events will also take place and are open to people from any state. Gay Kickball USA was formed by leaders past and present of existing gay and allied kickball leagues. This league has helped to showcase the inclusiveness of kickball across the country through shared resources and tournaments. The organization’s first national tournament will take place in Austin, bringing the 24 best teams in America together to compete for the title of World’s Best. 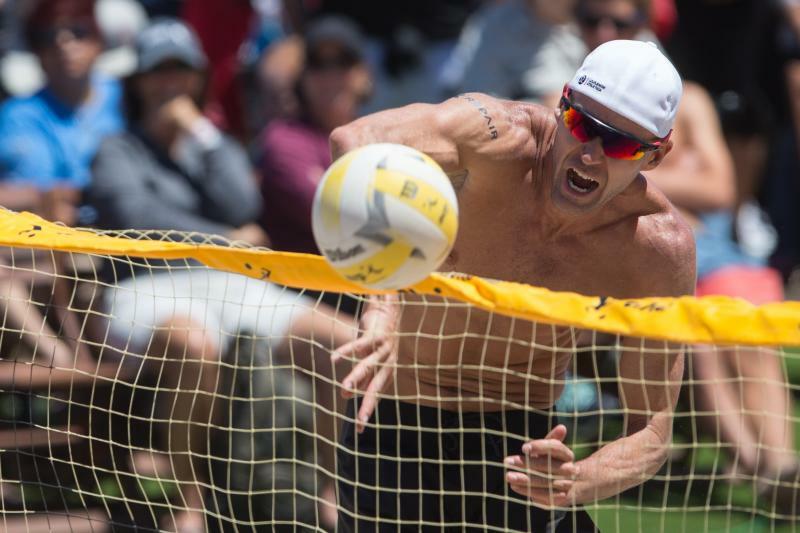 The 2019 AVP Tour stops through Austin once again this May, bringing the top beach volleyball athletes in the nation to town. Aside from the action on the court, the tournament will feature food and drink stations, music and much more. All weekend events are free and open to the public, VIP tickets are also available. Softball teams from coast to coast will meet in Austin this Memorial Day weekend for the Texas Shootout Tournament. Hosted by Softball Austin, this event is one of the largest LGBT sporting events in Central Texas. Registration for Open and Women’s Divisions can be found here. Downtown Austin serves as the setting for the Life Time Tri Cap Tex. The race starts with a scenic swim through Lady Bird Lake, continuing with a bike ride to the Texas Capitol and finishes with a run past Butler Park into Vic Mathias Shores. Competitors can either participate in the International Distance (.93 mile swim, 24.3 mile bike, 6.2 mile run), Sprint Distance (.46 mile swim, 12.3 mile bike, 3.1 mile run), or the Supersprint Distance (.25 mile swim, 6.3 mile bike, 3.1 mile run). Elite college athletes from around the country hit the track this June when the Division I Men’s and Women’s Track & Field Championships return to the University of Texas for the first time since 2004. Details and tickets can be found here.